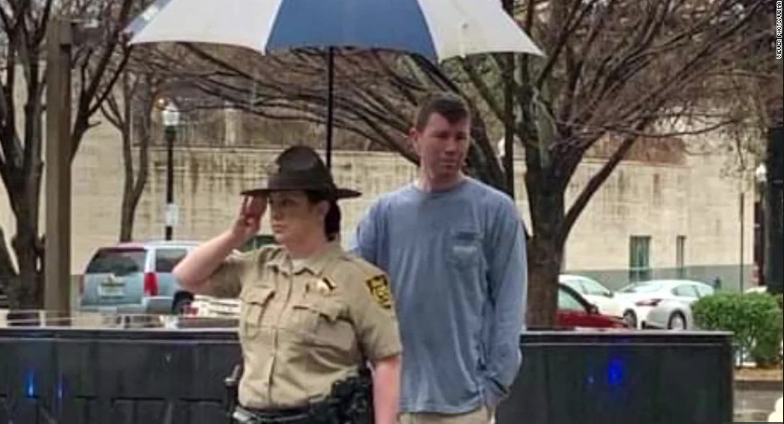 A stranger holds an umbrella shielding a police officer, who is saluting the funeral procession of a fellow cop. The man and the officer stood there for half an hour. I Think It's Gonna Rain Today lyrics © Warner/Chappell Music, Inc.
*210 years ago on this day President Abraham Lincoln was born.